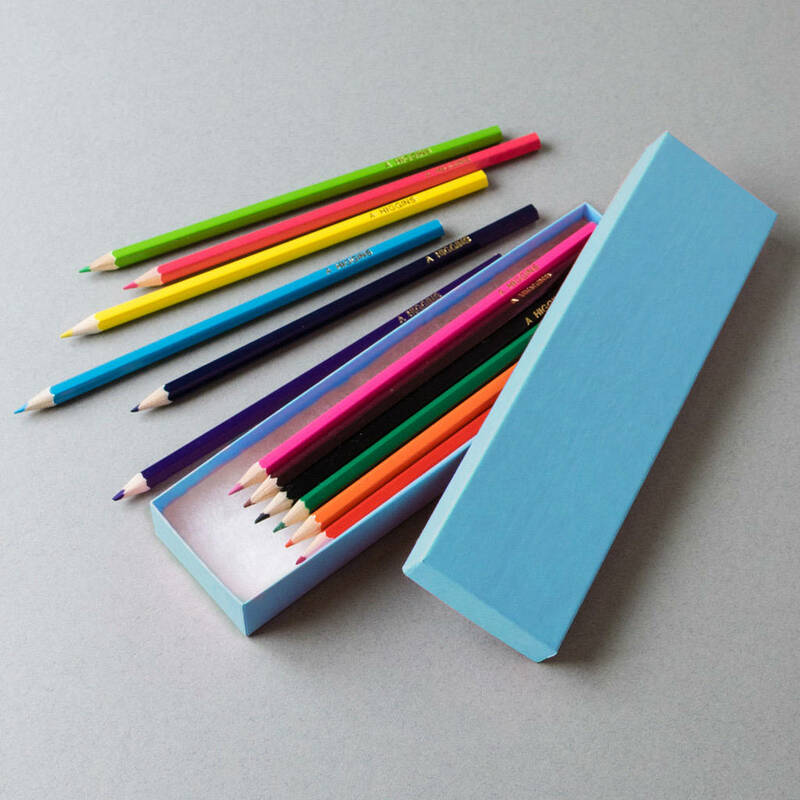 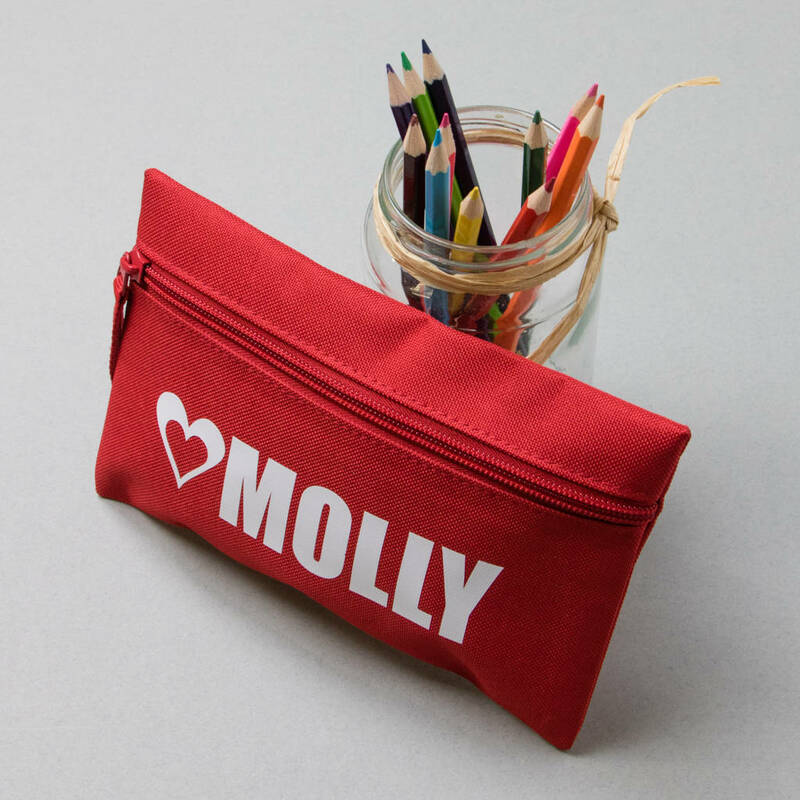 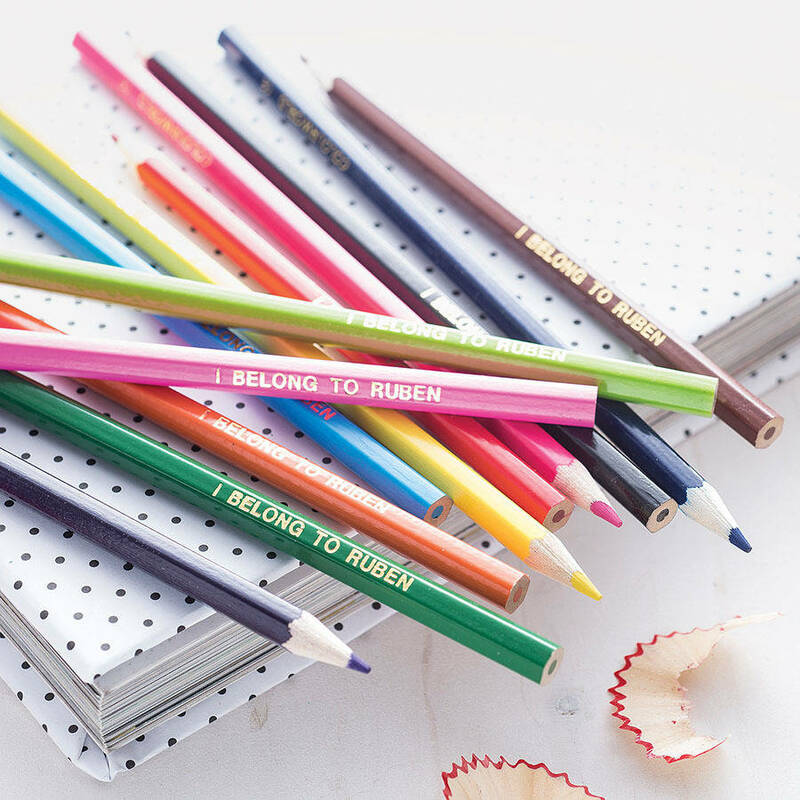 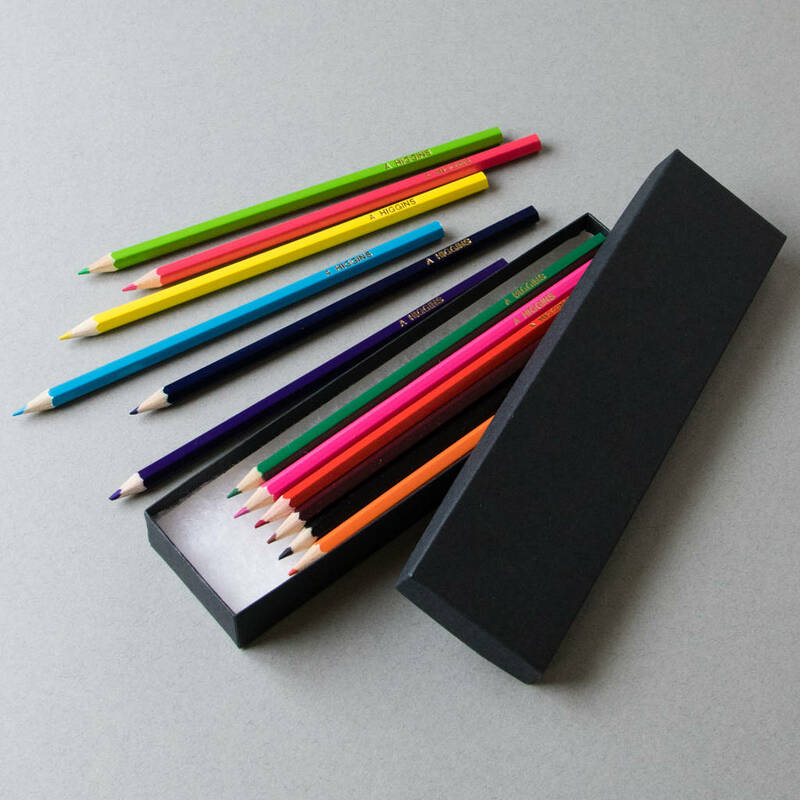 A full set of bright, good quality, personalised colouring pencils are the perfect pencil case companions. 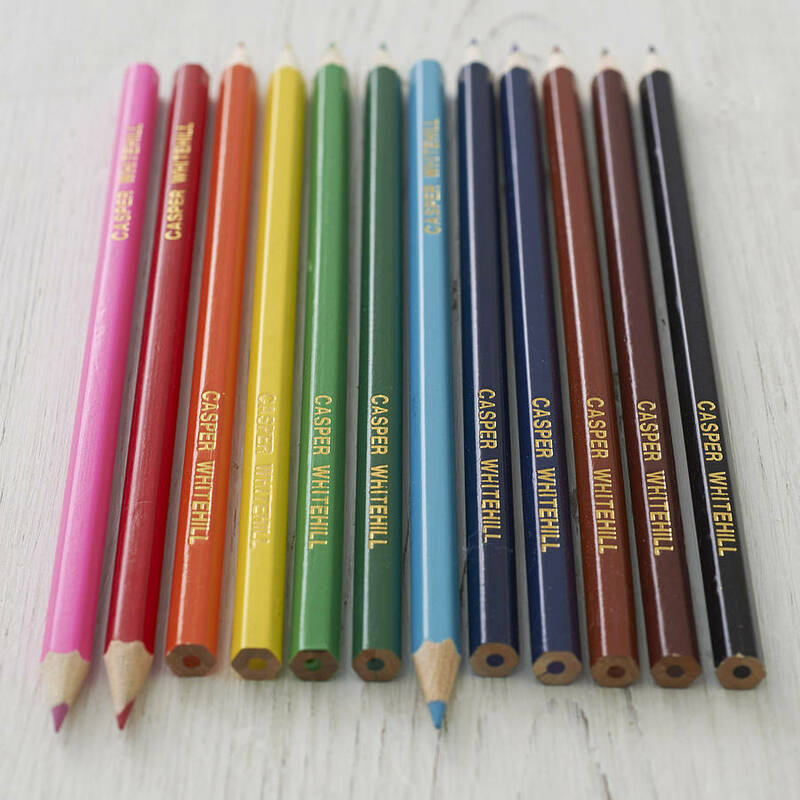 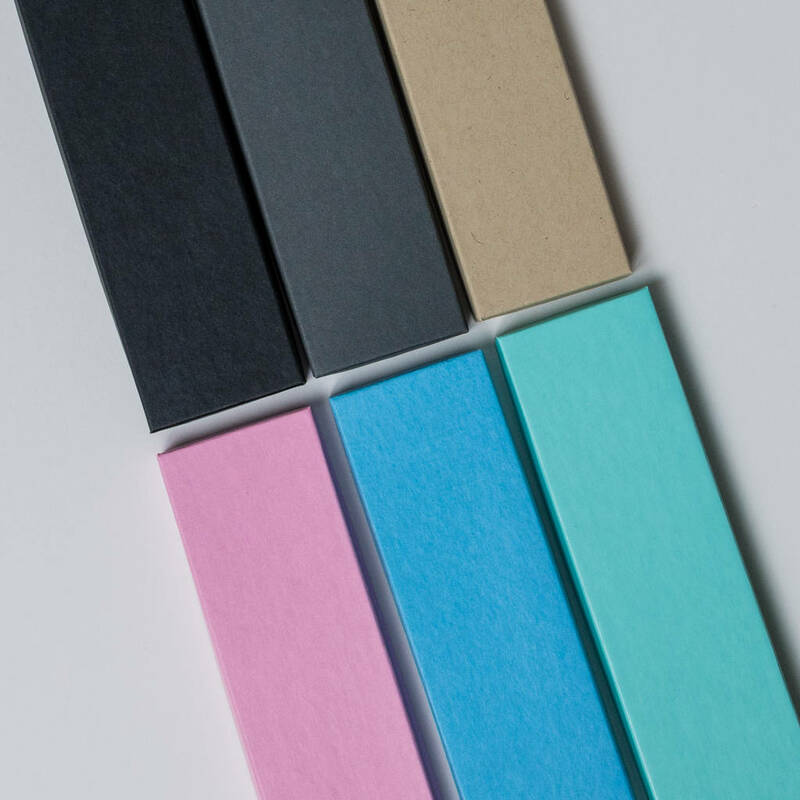 Our 12 colour pencils make a lovely Christmas gift for young and old alike, and are set to get the creative among you sketching away happily. 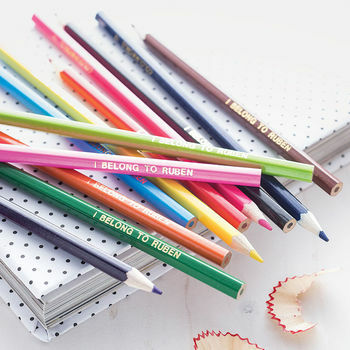 In fact, just having these in a pot on our desk makes us feel like it's going to be a fun and creative day! 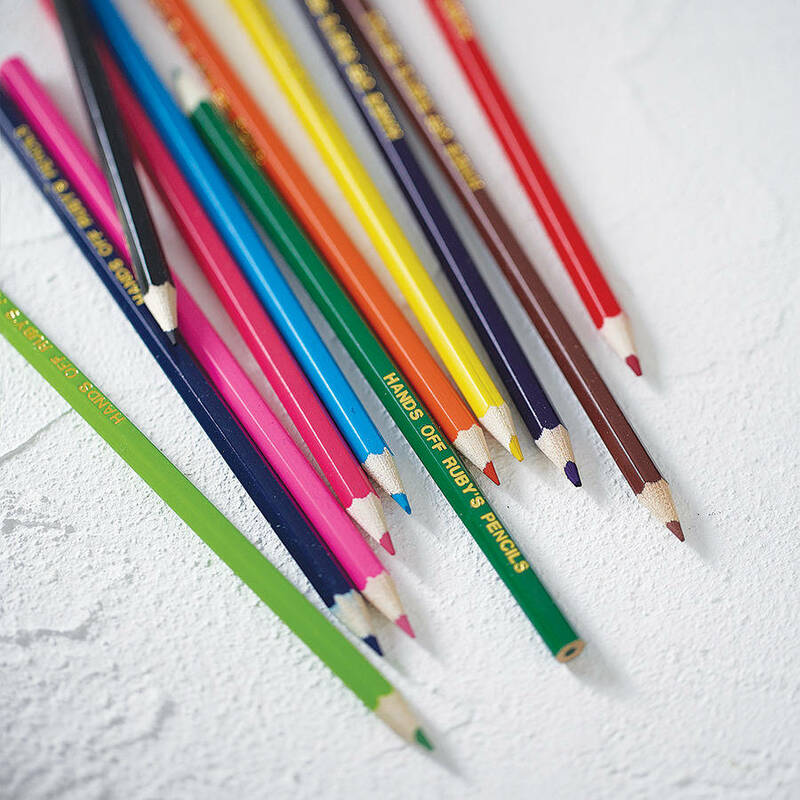 All of our pencils are hand personalised by a dedicated team of artisans based in rural Northamptonshire. 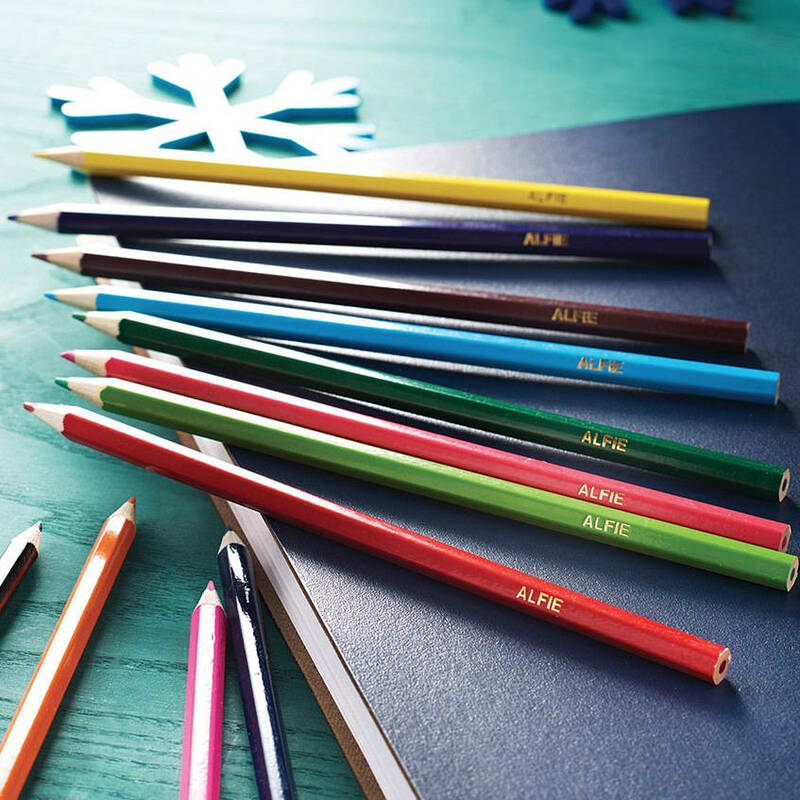 Here they use traditional techniques to painstakingly stamp vintage gold lettering and create a truly individual product. 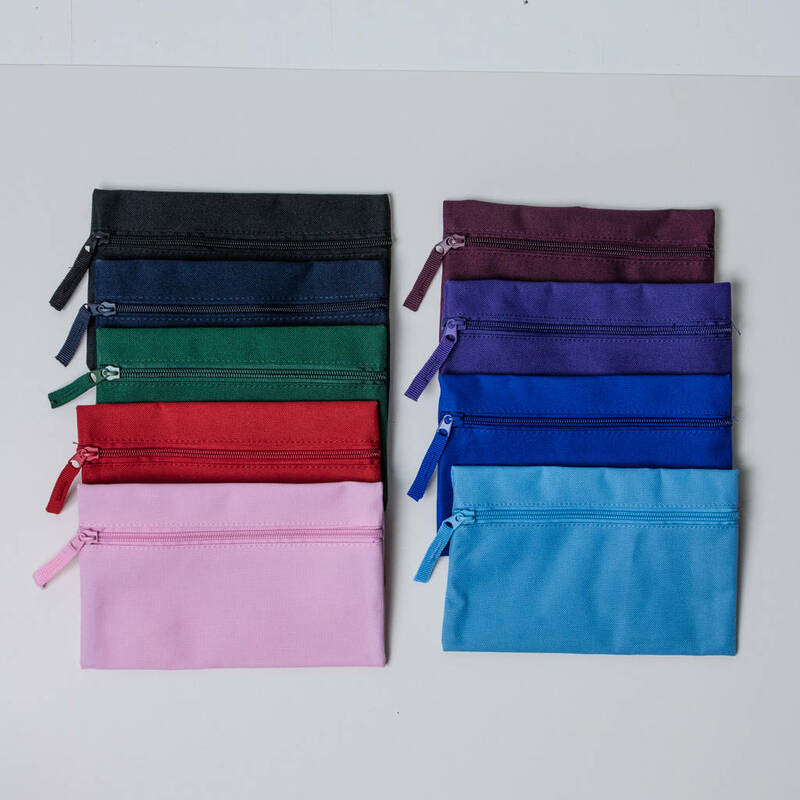 Brackets denote what you should type when ordering if a symbol is not available on the keyboard.